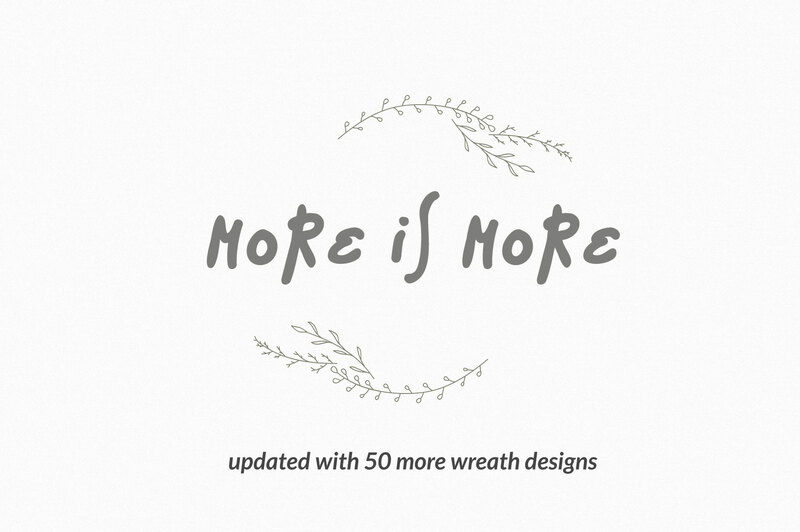 Home/e-shop/Wedding Invitation Graphics & Tools/250 Wreaths Vector MEGAPack- Major Update! 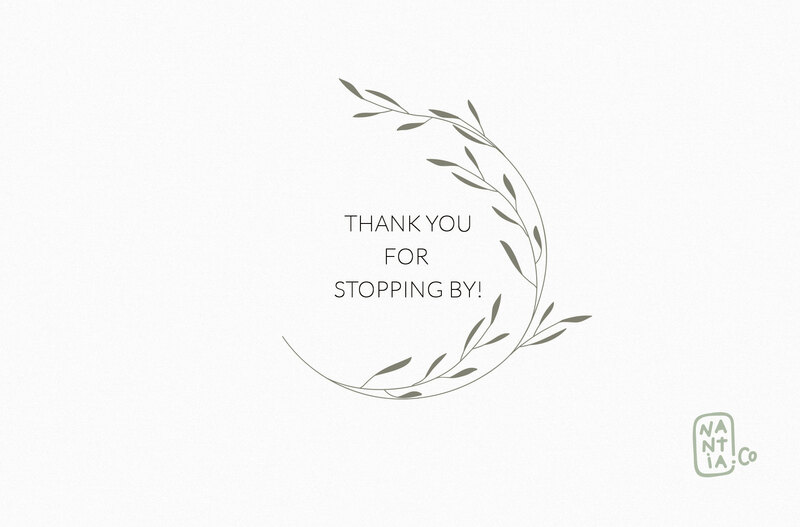 250 Wreaths Vector MEGA Pack your companion for wedding invitation design! 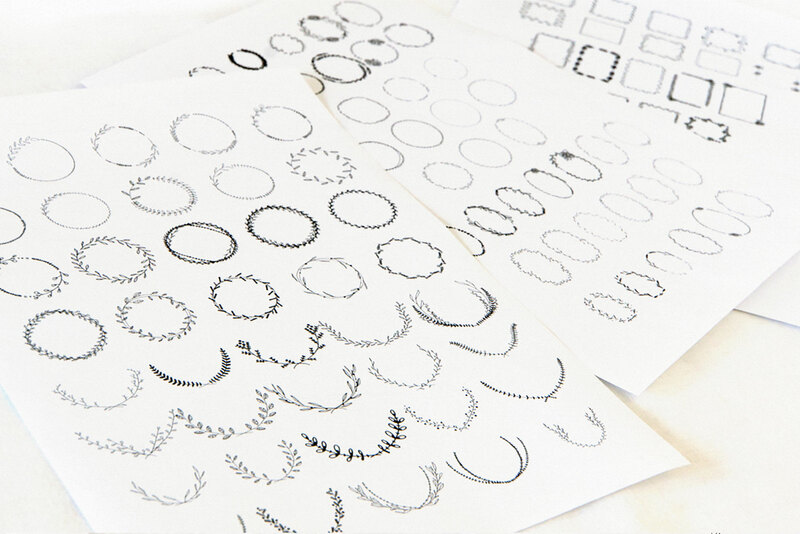 250 Wreaths Vector MEGA Pack is a high quality bundle with a great variety of digital wreaths. 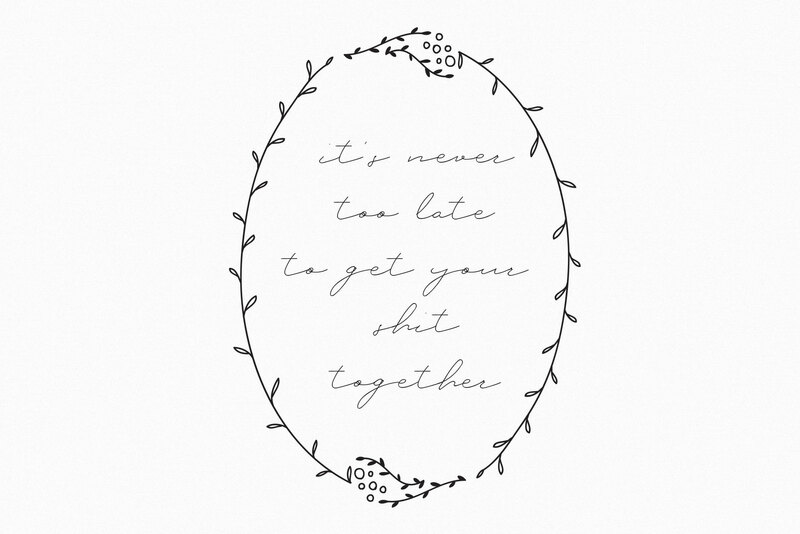 I created 200 hand drawn digitized wreaths and laurels for this MEGA Pack, in both bitmap and vector form. 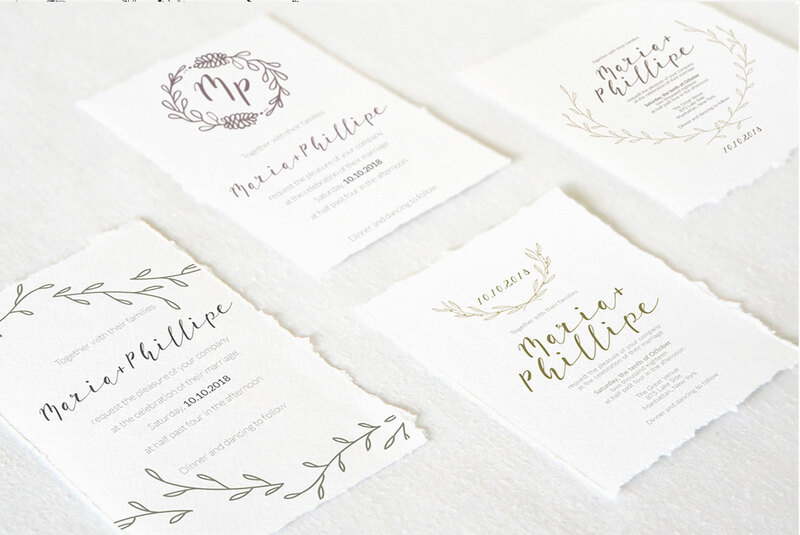 Whimsical, delicate, floral… you name it, it has it all! 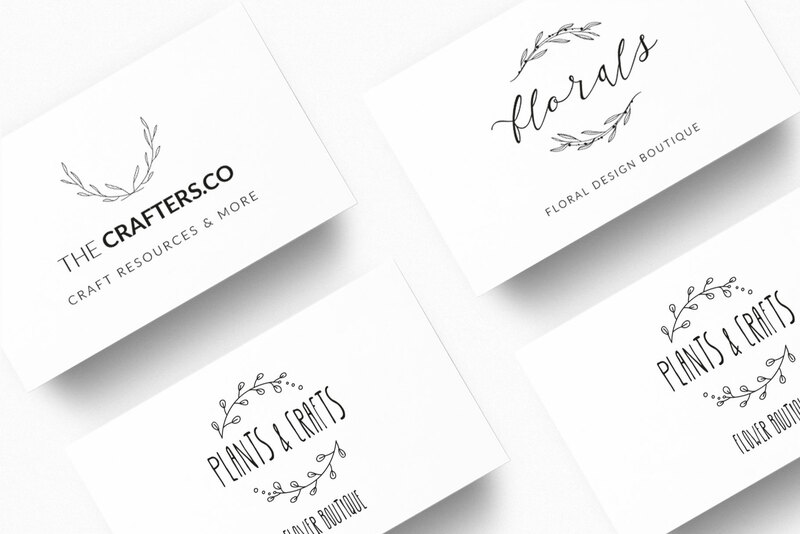 With 4 different shapes: circle, oval, square and rectangular you can use them as frames for your graphics. 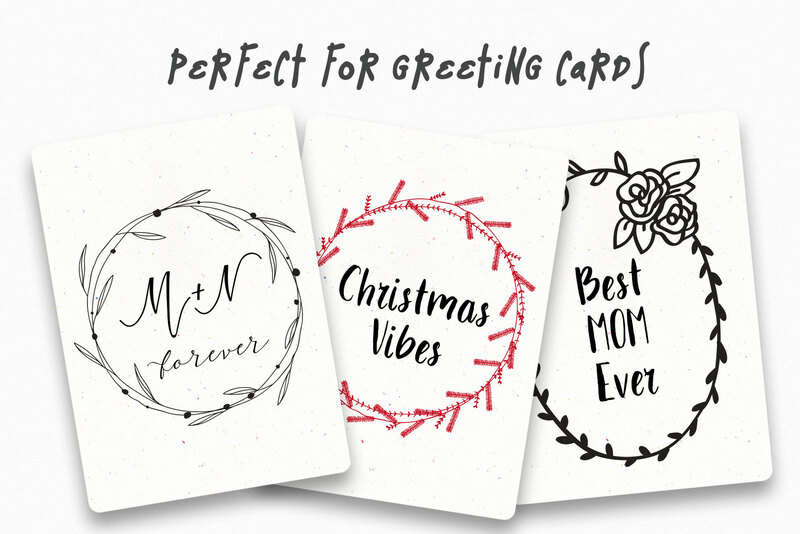 This bundle is the ideal tool to create wedding monograms and invitations, stationary, romantic logotypes, social media content, greeting cards, all kind of crafts or Christmas / seasonal decorations. 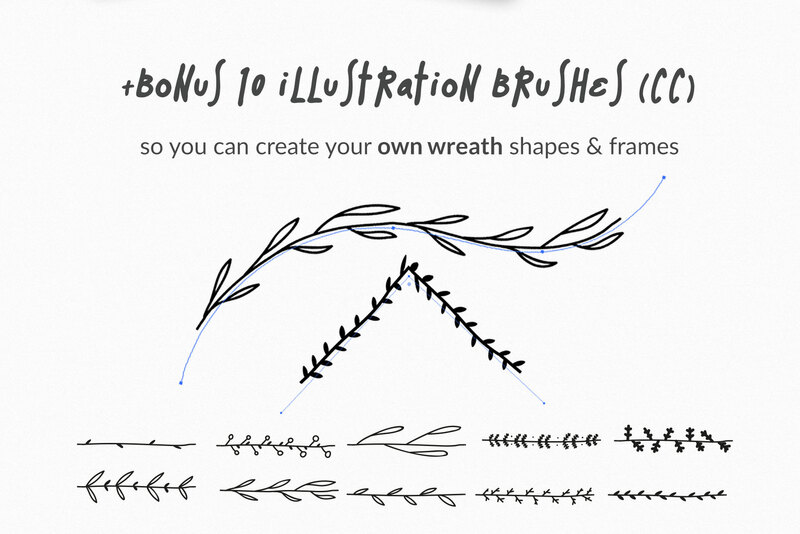 You can use the leafy brushes to create your own wreaths artwork, in any shape you like! 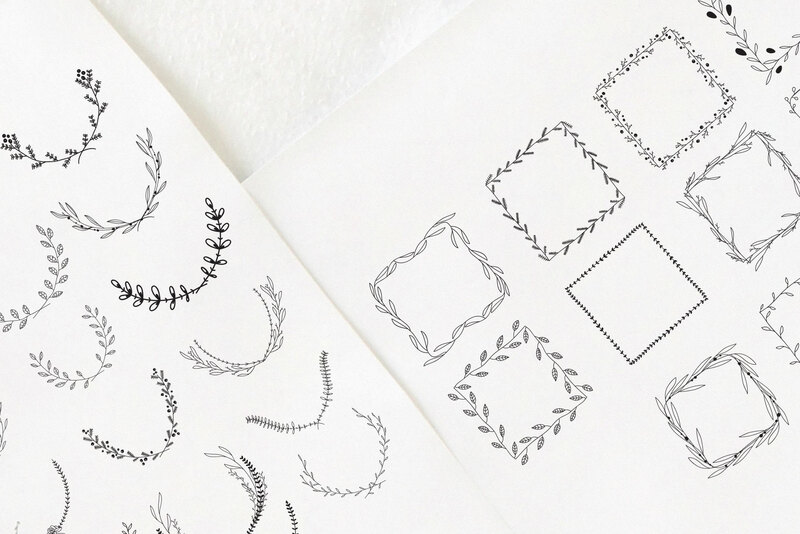 The 250 Wreaths Vector MEGA Pack is created from 100% vector shapes (You can resize and recolor them as you like). All vectors are created in CMYK color format. With a variety of file types such as EPS, SVG, PDF or PNG @300 DPI with transparent background this vector pack is ready to use in any scale you want. The background and the mock-ups of the presentation are not included in the pack.